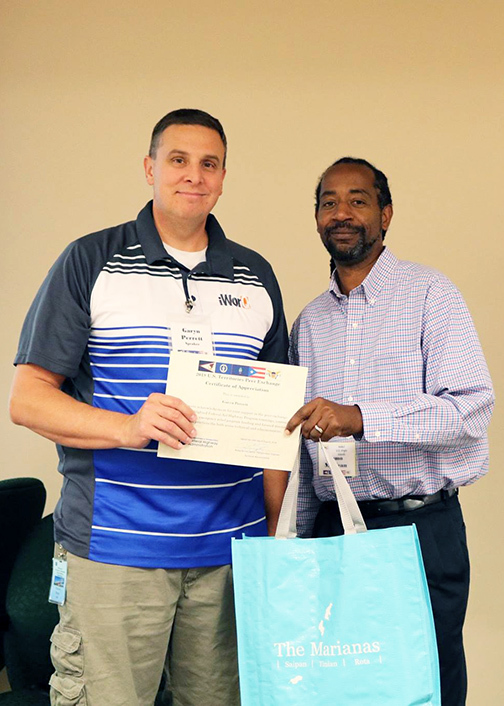 iWorQ was honored to attend and present at the first ever United States Territorial Peer Exchange in Lakewood, Colorado in August. The purpose of the conference was to share and enlighten territories about transportation improvements and technology that is available to assist their governments. The conference began with territory presentations from American Samoa, The Commonwealth of the Northern Mariana Islands, Guam, Puerto Rico, and the US Virgin Islands. The conference continued with informational presentations on bridge and tunnel inspection planning, emergency relief funding, Puerto Rico’s highway program and many other discussions on ways to improve transportation. Garyn Perrett, CEO of iWorQ Systems, presented on Day 4 of the conference. 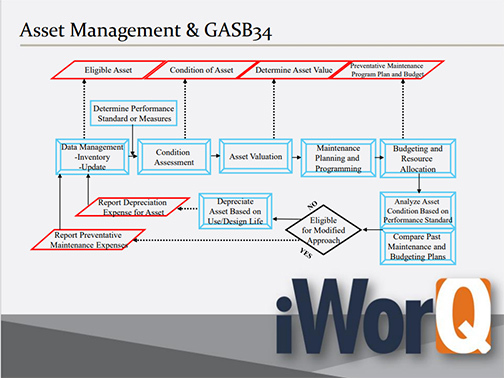 His presentation topic was on the GASB-34 requirements for asset management and how iWorQ’s software can help manage every aspect needed for accurate GASB-34 compliant information. During his discussion, Garyn covered how the applications determine asset eligibility by tracking and reporting current inventory and any necessary updates to an asset. He spoke about the common industry failures and what the causes of those failures are. By making sure that the system is available, simple to use, and keeps accuracy costs in check, there is a much lower chance of failure. Garyn also talked about the requirements for GASB-34, such as asset condition, asset value, and preventive maintenance program planning. Each step included a set plan and an explanation of how iWorQ’s software can provide a solution for that step. Being able to report effectively and efficiently on collected data is a critical part of GASB-34 requirements. Garyn showed examples of generated reports using the software and explained what was included in each of the reports. Concluding that as a web-based software solution, iWorQ provides the most affordable and effective solutions on the market. The next three days of the USPTE included an introduction to FMIS, project site visits to Guanella Pass Road and US 34/US 36/Larimer County Road, and closing remarks to summarize and bring the conference to a close. It was an excellent chance to discuss governmental software needs and solutions such as iWorQ’s, that can help an agency to increase their efficiency. Visit PRLTAP’s Facebook page to see additional photos from the United States Territorial Peer Exchange.